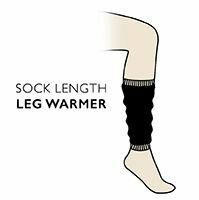 Great with boots or leggings, these chunky cable knit leg warmers are ideal for cold winter days. Alternatively stay bang up to date with the latest retro-look - wear over jeans or with your high heels for an on trend look, adding 80's style glamour with a 21st Century twist. Equally good for relaxing in at home, they're great for curling up on the sofa and watching Footloose one more time!